In the case of voice actors, we often find ourselves professionally obligated to be alone for hours at a time. We ply our trade in the studio, respond to emails from potential leads, and read over scripts for voice auditions to decide how to best approach our next opportunity. This time can feel isolating, especially compared to more social types of acting work such as film, television or stage acting. But a healthy dose of solo studio time can also help us develop a clear sense of what we love about the work we do, as well as an accurate assessment of the individual strengths we each bring to our voice acting profession. – Is this a job that feels like it’s in my wheel well? – Is this the kind of job I do all the time? – If not, does it seem like something I could master quickly and handle well? It’s wonderful when I can find a job that fits like a glove because it means that I can complete the audition efficiently without spending a lot of time on unpaid work. But seasoned voice actors know that familiarity isn’t always enough to nail a gig. Voice auditions are always a bit of a shot in the dark; my ability to self-assess and figure out if the gig seems like a good match is just one way to improve my odds, but it’s certainly not a sure-fire guarantee of a slam dunk. Another important bit of criteria is that elusive “spark” you get when you read certain audition calls. When I decide how much time to spend on voice auditions, I try to be realistic and pragmatic, and pursue work that feels familiar and within my current capabilities, but sometimes a job comes totally out of left-field and leaves me with that emotion that screams I gotta go after this one! Self-knowledge isn’t just about skills, it’s also about knowing what gets your pulse going and what pushes you to move outside of your comfort zone. Sometimes you simply have to separate your logical, practical thinking from the intuitive gut impulse that says to go for it. Even if it doesn’t pan out in the long run, acting on your intuition keeps you on your toes and engaged, and that’s exactly what you need to keep returning to the studio day after day. It’s the fuel you need to continue chasing that ever elusive spark. Published by Debbie Grattan on 12/13/13. 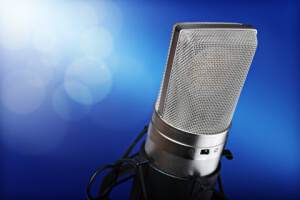 Debbie Grattan has been delivering professional Voice Over Services for more than 20 years, completing thousands of voice auditions and voice over projects along her journey. She has worked with hundreds of production companies, marketing and advertising firms, commercial and corporate/business clients around the United States and abroad. You can request customized Voice Auditions or Quotes for Voice Over Services on Debbie’s website.